The membership affords companies with more say in how their membership funds are spent and grants them further access to resources at the CDR. • Your firm will be able to present an exhibit at most events, your company representative will have the opportunity to present a 15-minute talk to the attendees, and your company logo will also be featured prominently in all meeting and event marketing materials. • Special seating at the VIP table during the reception with CDR leadership and speakers of the evening. This new member level opens up a whole new realm of opportunities and level of involvement for members of the CDR. • Your firm will be able to present an exhibit at most events, your company representative will have the opportunity to present a 10-minute talk to the attendees, and your company logo will also be featured prominently in all meeting and event marketing materials. • Special seating at the VIP table during event reception with CDR leadership and speakers of the evening. • Your firm will be able to present an exhibit most events. • Company representative will have the opportunity to present a 5-minute talk to attendees. • Your company logo will also be featured prominently in all meeting and event marketing materials. • Four attendees at CDR events held through the membership year at reduced or no cost. • Your company logo will also be featured in all meeting and event marketing materials. • One attendee at CDR Events held through the membership year at reduced or no cost. • Attendance at CDR events held through the membership year at reduced or no cost. 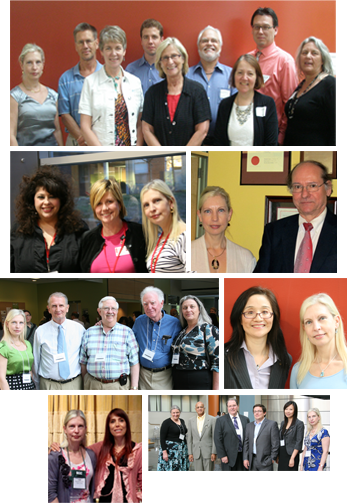 The CDR gives its members valuable networking opportunities and access to a range of speakers in intimate settings. And members may attend CDR events for free or at a reduced cost. To view a calendar of events from this past year that members have free and discounted access to. Kishore Shah - Polytherapeutics, Inc.
Register for CDR Membership here.